Do you experience discomfort when eating hot and cold foods? At Carrington, we offer various treatments for sensitive teeth, to make eating and drinking your favorite things more comfortable, no matter the temperature. Sometimes gum tissue can be eroded away from the tooth, exposing a small portion of the root. This can be very painful, much like a “tooth ache”. 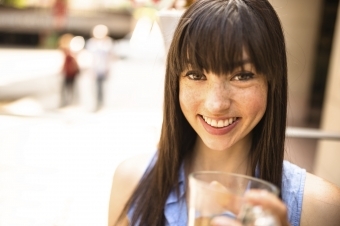 Other times, the teeth become very sensitive to hot, cold, or sweet foods or beverages. The Carrington Dental Centre team can identify and apply treatments suited for the specific type of dental sensitivity that you are experiencing to decrease and even eliminate it. "For a straighter smile, Invisalign is a safe, effective, and practically invisible alternative to traditional braces."